When renovating homes, you’ll be faced with countless decisions and choices. In addition to deciding on counters, cabinets, and other built-in fixtures, you can also personalize the space by looking beyond wood window sills and metal transition strips. In fact, you may discover that marble thresholds are easily the best choice for your next upgrade. The fact is that marble outperforms wood in several ways. Marble is far more durable than wood. There’s no need to refinish or paint the marble, so it also requires less maintenance over the years. Once it’s installed, you can basically forget about it. Your customers will appreciate the upgrade, and they’ll be impressed with you for suggesting it. The marble is a particularly smart choice for your exterior thresholds. While it’s great for interior transitions to bathrooms and bedrooms, it really shines when used at a front door or garage entrance. These are the areas where water tends to get tracked in, and the marble can withstand the temperature changes as well as the regular moisture. Marble thresholds are available in a range of styles. You can go with a flat piece that will provide a level surface between the flooring materials, or you can deal with variances in flooring height by having one side beveled. The Double-Hollywood bevel finish is typically chosen for open shower designs, bathrooms, and all types of exterior doors. The sloped edges help raise up the center to keep water contained on one side. At the same time, the gentle angle is easy to navigate so that you don’t have to worry about tripping on a high lip. Another option is single bevel thresholds that are only angled on one side. These are the perfect option when you need to make the transition between different floor heights. Use them to go from Berber carpeting to hardwood floors or luxurious granite floor. They can also be installed around the kitchen border to make the switch from a thin laminate to a deep, plush carpet. Choose the color that works with your existing decorating plans, but be confident that it will also work with future flooring changes. The same Nuevo White Carrara marble that makes your gray Berber stand out today will also be perfectly suited to the wood flooring you may want in the future. You won’t have to worry about changing out the thresholds when flooring on either side is updated, and it will look impressive with practically everything. When dealing with a threshold, you’re working with a long, narrow space. When you try to use the floor tiles that are going in one room, you’ll be left with seams and additional grouting. Carrying the carpet through can look awkward if it shows through in the other room. The marble thresholds are designed to fit neatly in the door opening. They’re available in different widths, and you can just cut them to length on-site. The result is a neat installation with no interior seams to worry about. If you’re working with an open floor plan and a longer transition area, then you’ll minimize the seams and grout work while ensuring that the lines stay nice and straight. As a contractor, you appreciate the importance of keeping costs down where you can. By going with marble thresholds, you can actually buy them in bulk and have your supplies on hand at the start of every job. The neutral marble thresholds can work with all of your projects, but you can save substantially by taking advantage of bulk pricing. You’ll save on the products, and you’ll also keep your man hours down by limiting your orders and keeping the supplies on hand. If you’re looking for upscale clients, then you need to meet their upscale expectations. Discerning customers want something that will stand out and look amazing for decades to come. While wood may look fine for a few years, only marble can withstand the test of time. The marble is resistant to scratches and chips, and it will always hold its color. When you suggest marble transition strips, your clients will know that you’re looking out for their interests in the long run. They’ll appreciate the upgraded look and the use of more durable materials. You’ll also make your bid stand out from the other contractors who may be offering less appealing options. 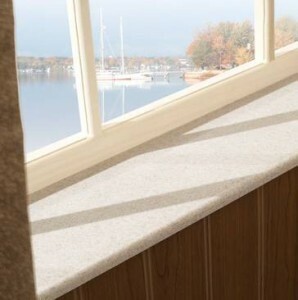 Stonexchange is a Florida-based company offering high-quality stone window sills and thresholds at wholesale pricing. We’ve taken the middleman out of the equation by working directly with contractors. Our friendly sales reps can help you choose the right finish and style for your projects, and our bulk-rate pricing will help you keep jobs on track with the budget. We own our own quarries and manufacturing centers, so we’re able to maintain optimum quality control standards throughout the process. We’re happy to deliver your order directly to your warehouse or job site, so give us a call today at 305.731.2400. You can also visit us online to learn more about our inventory options and see how marble thresholds can take your renovations to a higher level.